Pinnacle was born of a desire to create a line of premium auto care products for the enthusiast, a person who strives for perfection in every detail. For Pinnacle to be the best, it had to meet the standards of this connoisseur of car care, and even exceed those standards. The shine of our carnauba wax had to be the deepest, the glow produced by our leather cleaner had to be the warmest…Every product had to yield uncommon results in order to carry the Pinnacle name. Beyond visual perfection, we made it our mission to formulate products that would take the best that nature has to offer and combine it with the latest scientific technology. These products would actually nourish the vehicle’s surfaces to render a deeper, richer appearance than any topical product could achieve. 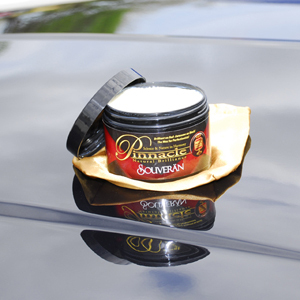 Pinnacle began with one key ingredient, carnauba wax. For years, auto enthusiasts have recognized this natural substance as the basis for the warm, wet-looking shine that has become the standard in auto care. Carnauba is the hardest, purest, and most transparent wax nature has to offer. It is harvested from the “Tree of Life”, a tall palm that grows in northeastern Brazil. The tree produces the wax through its leaves to protect them from the harsh climate. The leaves are harvested every year and the wax is mechanically removed from them. The wax is then graded according to the age of the leaves and the level of processing. We choose only No.1 Yellow, the finest carnauba available, for our Pinnacle waxes. Once we had the key ingredient, our chemist went one step further by refining the carnauba a second time. This additional refinement removed any remaining impurities and the result was the ultra-pure ivory carnauba found in every container of Pinnacle wax. Pinnacle’s team of researchers then went to work on a means by which the carnauba would bond to the paint for a long-lasting finish. The answer lay in modern crystalline polymers that resist breakdown from acid rain and ultraviolet light while still allowing your paint to breathe. After finalizing the formula for our carnauba wax, we addressed other areas of the vehicle with the same passion that led us to create Pinnacle in the first place. The result of all this research is the Pinnacle Natural Brilliance line of superior car care products. Each and every product is formulated with science and nature in harmony so you achieve the highest level of surface enhancement and protection possible. That commitment to car care excellence continues today as we constantly research new ingredients and combinations in order to deliver the absolute best in surface enhancement. Pinnacle has exceeded the expectations of the most discriminating enthusiasts and taken its rightful place among the top auto care products in the world.